Click the button below to add the Adult Women's Hair Treatment #Treatments# to your wish list. Do you have thinning, weak or falling hair with more hair in your comb or on the shower floor? Nourish and rejuvenate hair after just one use with strands that feel thicker and look fuller and more abundant. Begin the journey towards gaining the fuller thicker looking hair that you deserve. This hair treatment for women is a lightweight, easily absorbed, blend of rich goodness that delivers nutrients that cannot be found in other treatments. Pumpkin Seed and Sea Buckthorn are “super fruits” loaded with antioxidants, minerals, and vitamins. From the Amazon, Andiroba has been used by the indigenous tribes for hundreds of years. Formulated to repair from the inside out and to help restore strength, body, shine, and manageability while delivering nutritious richness for your hair and scalp. This is fertilizer for your hair and scalp. I've been using this for almost three months now, and I have less hair loss in my brushes, combs, and in the shower. This product took a little adjusting to as far as how much I should use. Just the smallest drop in the palm of my hand is all I need. Then I dip my finders in the drop and rub it in the areas that are thinning. It does make my hair look fuller, and I guess that is an unexpected bonus. Also, I notice my hair looks very shiny when I smooth some of this product on the rest of my hair. Nature’s best ingredients provide nutrients with vitamins that feed and moisturize your hair and scalp. Leave-in to moisturize and soothe dry scalps as it strengthens hair for a volumized appearance. Lightly conditions for soft, manageable hair. Strengthens against breakage and adds shine with more fullness. Adds moisture barrier to aid with damage caused from heat styling appliances. No harsh or unpronounceable chemical ingredients. Gentle enough for daily use. Use sparingly; a little goes a long way. I am a 57-year-old woman who has been in menopause for about ten years. About a year ago I noticed I was losing hair in the front of my hairline and now have a bald spot at the top of my head. This was devastating. I started reading about women's baldness patterns and hair loss and decided to try Rogaine, but I found this product instead. I have been using it for a couple of months, and I already see tiny hair coming in, very happy. Remember it only works as fast as your hair grows. But it has made mine significantly thicker, and I have very fine hair. I'm a 37-year-old woman, and I always had thick beautiful hair. I didn't realize my hair was thinning until my mom pointed out that it looked thin. So, I began to pay more attention and noticed that when I showered and combed it out a lot of hair was falling out. I am not a big makeup wearing, hair-doing kind of women, but when I saw that even when my hair was pulled back, you can see just how thin my hair had got, I decided to give this a try. This took about three months until I started getting people pointing out my hair looked darker- It was, in fact, my hair thickening. I am very pleased with the results. A little goes a long way too. Helps soothe dry, itchy scalps while strengthening weak, thinning hair. Adds protection for heat styling tools and creates a moisturizing barrier. 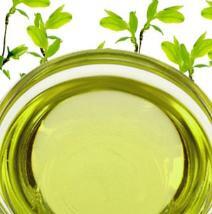 Andiroba Oil is a healing and anti-inflammatory oil that infuses hair with omega-3 fatty acids. Macadamia Nut Oil prevents breakage and provides frizz control while giving hair much needed hydration. 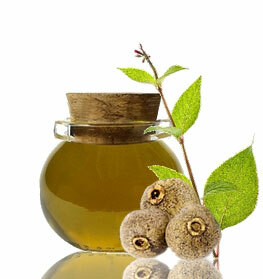 Hazelnut Oil conditions hair, keeps color lasting longer, and prevents split ends that can lead to loss. Grape Seed Oil is a lightweight moisturizer that can protect hair from heat damage. Ylang Ylang Essential Oil is believed to stimulate blood flow and encourage hair growth. Rosemary, Lavender, and Peppermint Essential Oils invigorate the scalp by relieving itchiness and dryness. It is always best to have your scalp clean and without buildup. Open your hair roots with your fingers, leaving the scalp clear to apply the serum. Leave in for 2 to 3 hours or longer. Condition and style as usual. A tiny amount will go a long way. Instead of spraying the product onto your scalp, try using your fingertips to apply the serum. By using your fingertips, you can effectively control the amount used. If you experience a lot of buildup or cleanse your scalp with conditioner, we recommend using a clarifying shampoo once a month to remove buildup and refresh your scalp. We suggest our Shampoo to Remove Build-Up. Results vary from person to person depending on nutrition, current health, and physical activity. Treat your hair as if it were lace. By treating hair gently, you will prevent unnecessary breakage and hair shedding. We suggest our Vinegar Nutritive Rinse Cleanser along with this product. This cleanser will help remove buildup that may accumulate on the scalp. Once the scalp is clean and free of buildup, the product will be able to penetrate the scalp and become more effective. Carapa Guianensis (Andiroba) Oil, Simmondsia Chinensis (Jojoba) Oil, Macadamia Integrifolia (Macadamia Nut) Oil, Cucurbita Pepo (Pumpkin) Seed Oil, Olea Europaea (Olive) Oil, Ricinus Communis (Castor) Seed Oil, Cocos Nucifera (Coconut) Oil, Hippophae rhamnoides (Sea Buckthorn) Oil, Prunus Armeniaca (Apricot) Kernel Oil, Corylus Avellana (Hazelnut) Oil, Persea Americana (Avocado) Oil, Vitis Vinifera (Grape Seed) Oil, Salvia Hispanica (Chia Seed) Oil, Camelina Sativa (Camelina Seed) Oil, Sesamum Indicum (Sesame Seed) Oil, Arnica Montana (Arnica) Extract, Sesamum (Sesame Seed) Oil, Citrus Sinensis (Orange)Peel Oil, Cedrus Atlantica (Atlas Cedarwood) Oil, Pogostemon Cablin (Patchouli) Oil, Rosmarinus Officinalis (Rosemary) Oil, Lavandula Angustifolia (Lavender) Oil, Cananga Odorata (Ylang Ylang) Oil, Salvia Sclarea (Clary Sage)Oil , Mentha Piperita (Peppermint) Oil, Leptospermum Scoparium (Manuka) Oil, Commiphora Myrrha (Myrrh) Extract, Tocopherol (Vitamin E). Nothing is more depressing than losing your hair! It is even more depressing when you can’t find a cure and you can feel the clock ticking forward without compassion, and then you start to think maybe it’s too late, I’m really going to be bald. That’s was my thought before I found this women’s hair product. Today my scalp is covered in new hair, I put all my hopes in this natural product, I am 59 years old and I don’t want to be bald in my 60’s. The best thing I can say to everyone who visits this site is this: DO it...do NOT wait for a minute. Bring back the hair you had as a child growing up young and healthy. And, by the way, I’m 68 years old and you should see my hair!! My results have been amazing! My hair has been thinning with an increasing bald spot at the top of my head for the past 2 yrs. Nothing else has worked including Rogaine. I used this product in conjunction with the Women's Hair therapy Shampoo and Conditioner, and the Spot product cream....within 3 months my balding was gone and the thinning filled amazingly! I was so satisfied with these products that I ordered a few other products. I'm looking forward to seeing more positive results. From now on these will be the only products I will use on my hair. It WORKS! I see bad reviews due to the smell. This is a hair product not cologne so people be realistic. I personally think the smell is great! Herbs and spa like smell which relaxes the senses. I love it. I have ordered 2 more bottles! Please get and use because you won't be sorry! It's a nice smell too!! And will last a very long time because it’s an oil spray!! But not greasy! It's hard to explain. I use mine at night and wash my hair the next morning as normal and it shampoos beautifully. Just arrived yesterday and don't usually write reviews. Amazed with this product when used the first time with the Just Nutritive hair therapy shampoo & conditioner. Enjoy the herbal fragrance. I have thinning fine hair with oily roots and dry/processed ends. Used the product at night as directed and was concerned it would leave a buildup because my hair looked greasy with it on. Extremely pleased with how clean, shiny, bouncy, and full my hair looked after washing and styling. My hair had previously been shedding in clumps when washing with a pricey salon brand but noticed very little loss during the first wash with JN. Looking forward to continued results. Really glad I've tried this product line! I used this in conjunction with the vinegar nutrient rinse, OGX biotin shampoo, and biotin supplements after developing hair fall as a side effect from Humira. After about two weeks of using these products, the hair falling slowed down to almost nothing, and my hair is looking a little fuller in the spots where it had thinned out the most. I can't honestly say which product (or maybe just that the Humira is finally out of my system) is most responsible for the improvement. I use this overnight and wash it out in the shower in the morning; since it is all essential oils, it would make your hair look too greasy if you used it at the beginning of your day. I have thinning hair and have been using this women’s hair product for a few months. It has helped with new growth and makes my hair seems much thicker which is a bonus. I love the fact that the ingredients are chemical free, and are all great nutrients for hair health and growth. Thank you. I've abused my hair with chemicals from hair dyes and perms, now my hair is damaged, dry and I've been losing so much hair. Now I've been taking care of my hair and bought the womens hair product that I figured would help my hair and scalp come back to its healthy appearance. This scalp leave in product is the best that I have ever tried. Now my hair is coming back. It is healthier and thicker than before. Loving the look and pleasantly surprised. Keep up the good work, thanks! Ok, I was so very skeptical of this product. After just over two months, using this once a week and I have to say I've noticed significantly more growth and fullness. I actually have to get my hair trimmed more often in order to keep the ends looking clean! My hair is now longer than it has been in years, and looking healthier than ever before. Hormone changes started to cause some loss of hair especially around the hairline. My hairdresser, who runs a salon, told me about this. I figured I had nothing to lose. Since starting to use this hair product I can say that I have noticed some regrowth along my hairline. I will continue with it. This hair product for loss is great! I've noticed that less hair is coming out each time I wash my hair in the drain. It's worth the extra expense. This might not be a cure but it’s the next best thing! My hair was thinning from stress related issues I think. After using the womens hair product I noticed baby hairs sprouting. Overall, definitely would buy it again. Great scalp product and mild nutritive volumizer. It's made of the most nutritive ingredients I have ever seen in a hair product! It does give you some volume, and makes your hair super soft without any oily feel, I just apply to my scalp and roots. And I actually noticed my hair fallout has reduced a lot since I had started using the spray. Despite the price, i will definitely continue with this. It is the best hair care product for my thinning, losing hair I have tried hands down! I ordered this hair spray and it is doing the job because my hair seems to be recovering slowly but surely. The spray is easy to use and I only spray at the top of my head where my hair is the thinnest. It does add a bit of volume but don't use too much or else it gets oily.